Sukkot is a celebration of the fall harvest! 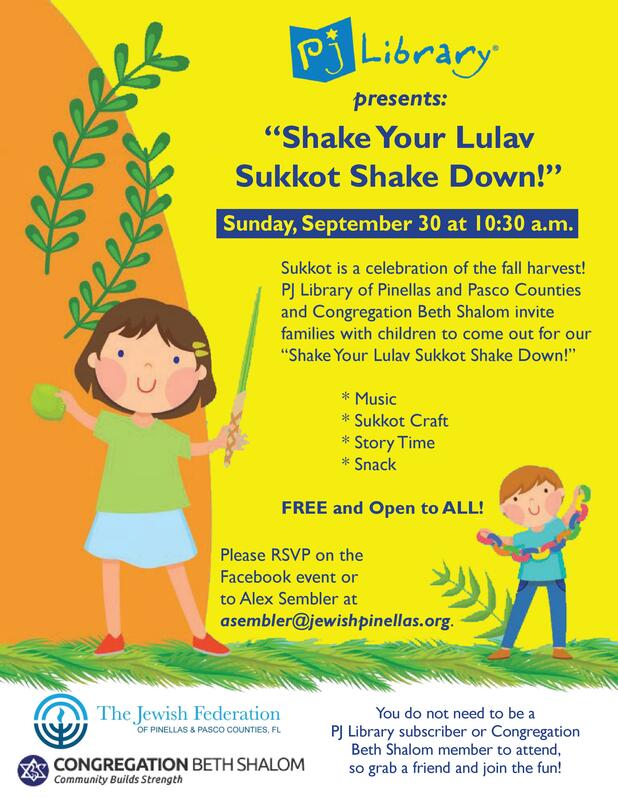 PJ Library of Pinellas and Pasco Counties Florida and Congregation Beth Shalom invite families with children under 8 and younger to "Shake Your Lulav Sukkot Shake Down" Sunday, September 30th at 10:30 am. Free and Open To All! Please RSVP on the facebook event or to Alex Sembler: asembler@jewishpinellas.org.